South on Turkeyfoot Rd, Left on Independence Station, Right on Cody, Right on Flagstone, Right on Victory, Right on Cobblestone. House on right corner of Cobblestone and Harbor. Updates, updates, updates! 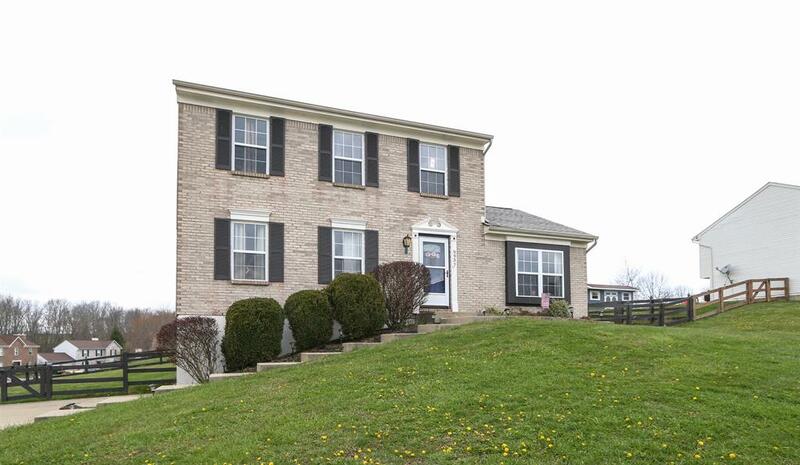 Lovely 2 Story Brick/Vinyl home on large corner lot, featuring 4 Bedrooms, 2-1/2 baths with attached 2 car garage. Remodeled kitchen boasting NEW wood soft close cabinets, sink, faucet, tile backsplash & stainless appliances. Huge Living Room, New interior & exterior doors, newer carpet & flooring, 2 new insulated garage doors. LL level laundry and new water heater.